Realistic Games is a software developer responsible for creating high quality gaming content for some of the world’s leading online casinos. The brand is a relatively new one to watch on our radar, but given the quality of the roulette games we’ve sampled, Realistic Games is definitely one to watch. 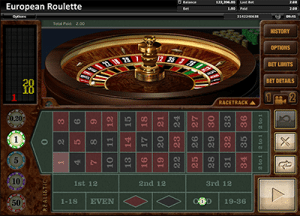 Find out more about the Realistic Games roulette software and where you can play for real money using Australian dollars. Realistic Games is a privately owned company founded in 2002 by a group of passionate individuals with a vision to create high quality content for the world’s leading gaming operators. The team is made up of designers, artists, software developers and marketing gurus, with decades of collective experience in the online gaming industry. Apart from some of the voice-over work used in some of their games, everything Realistic Games does is produced entirely in-house using the brands own advanced software platform. Along with roulette, Realistic Games also has a portfolio of other casino games including blackjack, keno and three-reel and five-reel pokies. The European Roulette software available from Realistic Games is truly first-class. Graphics are crisp, detailed and executed in a very sophisticated manner which replicates the feeling of playing in a high-end casino. The betting table sits below the roulette wheel with the betting chips to the side, but once you place your bet the screen changes to a close up of the spinning roulette wheel so you get a closer view as to where the ball stops. Gameplay is easy and requires no specific skill or previous knowledge. Simply click on the size of the chip you wish to bet (betting chips range from $0.20 to $50) and place it on the corresponding bet on the betting table. You can hover your mouse over any of the bets on the table to see what its payout is and the minimum and maximum bet available. For a full list of the wagering limits and payouts, click the ‘bet details’ button to the top right of the game. It’s the small details like this proving Realistic Games commitment to remaining at the forefront of the online casino industry, and we’re excited to see what software they may come up with next.